California, nicknamed "The Golden State" is located on the West Coast of the United States. California has a reputation as a haven for people with creative minds, and you can see this in its multifaceted cultural offerings. The California Gold Rush beginning in 1848 led to dramatic social and demographic change, with large scale immigration from the U.S. and abroad and an accompanying economic boom. 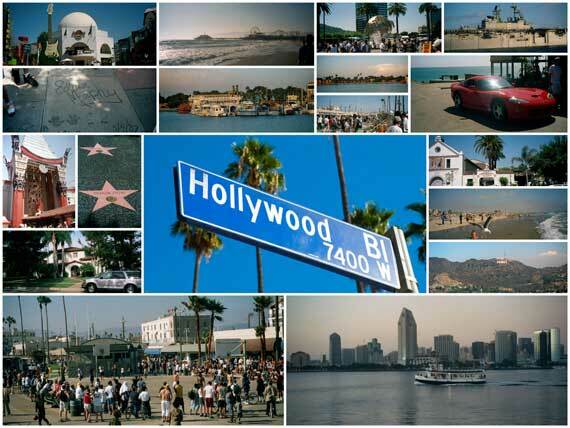 Key developments in the early 20th century included the emergence of Los Angeles as the center of the American entertainment industry, and the growth of a large, state-wide tourism sector. The late 20th century saw the development of the technology and information sectors, punctuated by the growth of Silicon Valley. The Golden State has more than 1,100 miles of coastline, ranging from Hollywood-perfect expanses of smooth sand to dramatically windswept oceanside cliffs. California’s North Coast beaches are a bit rugged and wild compared to the serene and scenic Central Coast beaches, and there are also the “laid-back cool” of Los Angeles beach towns and the “fun in the sun” vibe you’ll find in the San Diego beach communities.